This post will cover the process of migrating computers from the source domain to the target domain. After you migrate a batch of local user profiles, migrate the corresponding batch of user workstations. ADMT 3.2 – supports the migration of computers that run Windows XP, Windows Vista, Windows 7, Windows Server 2003, Windows Server 2008, Windows Server 2008 R2, Windows Server 2012 and Windows Server 2012 R2. 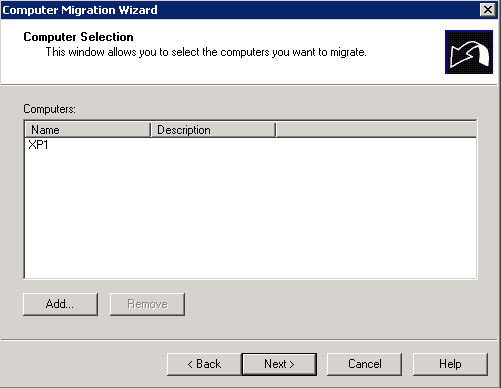 ADMT 3.0 – supports the migration of computers that run Windows 2000 Professional, Windows XP, Windows NT 4, Windows 2000 Server, and Windows Server 2003. From the ADMT machine, run ADMT and select Computer Migration Wizard. 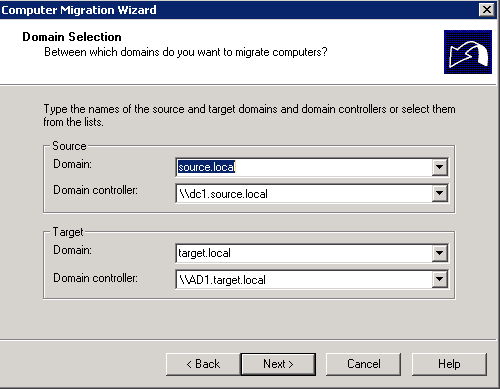 Select the source and target domain, you can also select which specific domain controller to use. Select computers from the domain or use an include file. This may be quite useful if you’re doing an OU at a time as you can export objects of an OU via ADUC (right click -> export list). Choose the objects you wish to translate. Here you can choose to replace, add or remove the permissions. Add is the safest option and is what I would recommend in most cases. After the wizard has completed, wait x minutes before restarting the computer. This can typically be set to 0 minutes. You can exclude particular attributes of the computer here, if needed. Select Do not migration source object if a conflict is detected in the target domain. At this stage the computer object will be pre-staged in the target domain, you will be able to refresh the target OU and view the object. As usual, run the pre-check, then run pre-check and agent operation. Once the Agent operation is complete, the wizard will wait to carry out the post-check. The post check uses a A record in the target domain to contact the machine and remove the ADMT tools. You should see an A record being created on machine reboot. If you don’t, the post-check will fail- this isn’t a major issue. As long as you’re aware of why it failed. If the A record has not been created you will need to investigate why. 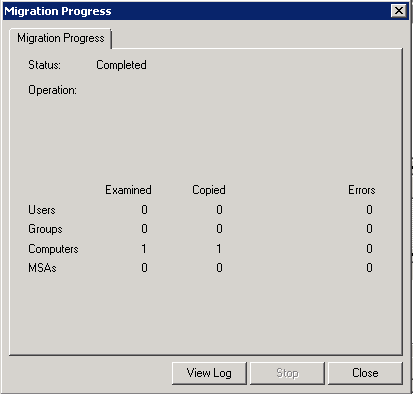 I have same issue in my company – i need to migrate from 2003 domain to 2008R2 and i use yours articles about migration like handbook. Great guide mate. Love your work! It is very simple for understanding…..
Great job! 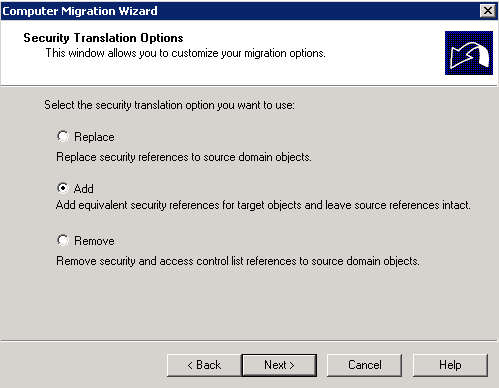 Helped me to migrate domain to 2008 R2 500 users! It seems on the computer migration part I have to change the primary DNS to point to the target DC’s IP address to get it to complete. Do you know any way around doing this? Did you ever find a resolution for this? Really good informative guides how to carry out the migration tasks. Makes it easier than trawling through the ADMT guide and different websites to piece together the information. I think the re-released ADMT 3.2 supports the migration of down-level systems now. 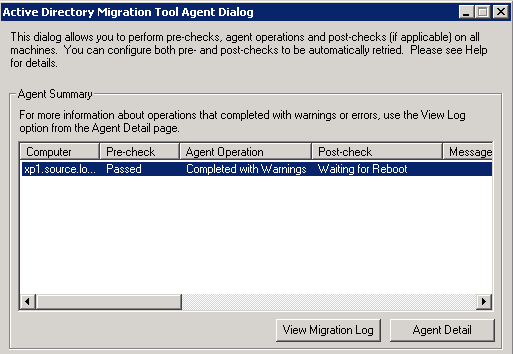 There’s no need to dig up 3.1 to migrate legacy systems. Great post. This exactly the information I have been looking for. Cool stuff! Thanks for publishing, help me to save much time! This post is fantastic! I must leave a “thank you” comment for all of this! Wow, this was an excellent guide. This will save me a ton of time with our Forest migration. Your instructions were much more straightforward than the Microsoft ADMT guide. Thank you very much for taking the time to create and post this.